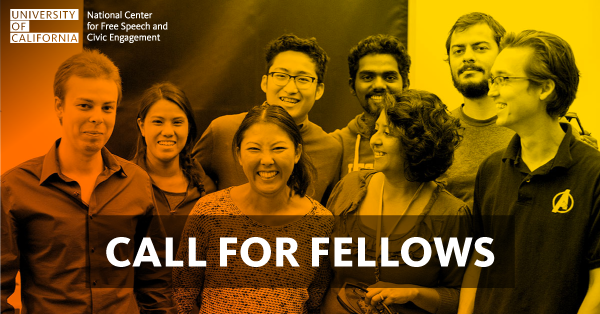 “The University of California National Center for Free Speech and Civic Engagement invites applications for the 2019-2020 Fellows Program. The Fellows Program supports scholars, practitioners, students and professionals whose work raises, engages with and/or addresses questions of free speech and civic engagement on college campuses and beyond. The Center is open to a wide and diverse range of projects including but not limited to traditional academic research. We are especially interested in projects that will have an impact by fostering and sustaining conversations and engagement across and within campus constituencies, as well as furthering the national conversation about free speech in American higher education.